Your wedding day can be one of the most significant and beautiful days of your life. Choosing to bond together in marriage is an exciting adventure and a momentous decision and I will enjoy helping you make your wedding experience one to remember. 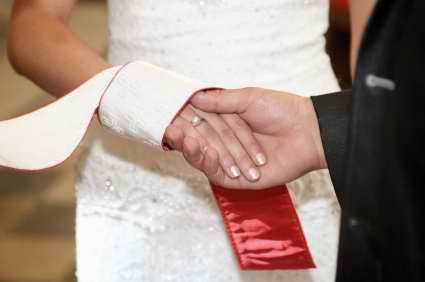 Together we’ll discuss what is important to you and I will craft a perfect ceremony experience. As your celebrant, I will incorporate elements of your shared lives and create a personliased ceremony that will have meaning for both of you as well as your family and friends. Your Wedding Ceremony can be just as you desire - whether very traditional, quite relaxed or even specially themed. I will be happy to conduct your ceremony at any location – whether inside or outside, or on land, sea or air! I perform wedding ceremonies in Perth, anywhere in Western Australia and even interstate. I have conducted ceremonies for a diverse range of clients, creating special cultural significant for couples from Argentina, Iran, Mauritius, India, Nepal, Thailand, Portugal and of course Australia. I have strong language skills and can easily incorporate your home language into your ceremony for a special touch. I know that planning a wedding ceremony can be a stressful time, with so many things to think about! As your celebrant, I will give you complete confidence and calm that your ceremony will be prepared and delivered beautifully - one less thing on 'the list' to worry about. As you are planning your wedding, it's important to note that for legal marriages in Australia, a Notice of Intent to Marry must be completed and provided to a registered celebrant one month and one day prior to your wedding day.